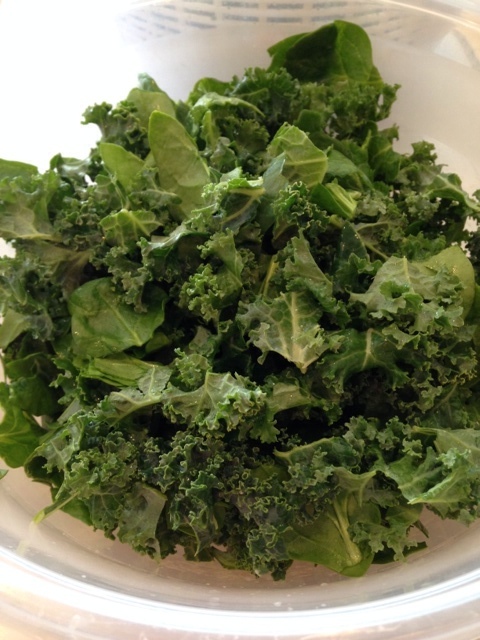 Here is a recipe that just may change your opinion of a “kale” salad. It is packed full of color, flavor, fruits and veggies, is super-nutritious, and is just plain delicious!! The dressing is a simple mixture of fruit juice and olive oil. Give it a try! Start with a bunch of freshly washed/dried kale – baby kale is ideal, however, I had good results from just removing the center rib section from my bigger leaves. To this, I added a good-sized handful of baby spinach leaves. Chop or tear all the leaves into small sections and place in a large salad bowl. Next, toast one-half cup sliced almonds on top of the stove until slightly brown. Set aside to cool. 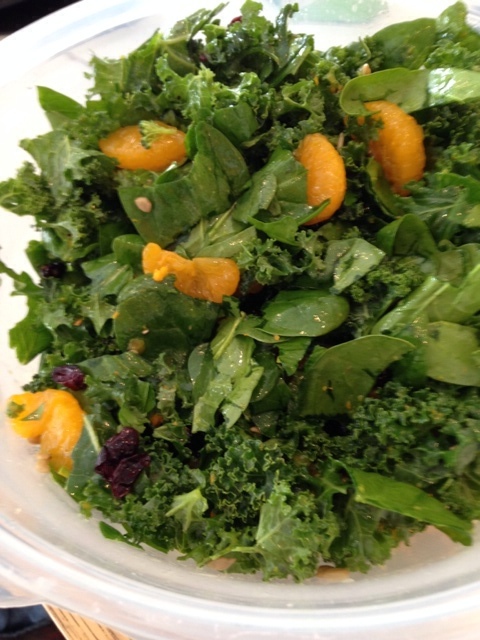 Dressing: In a separate small bowl, zest an orange. (Reserve the fruit for later). 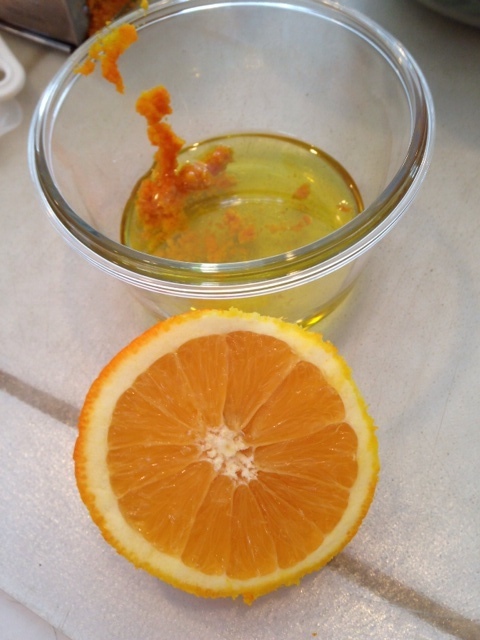 Add 1/4 cup of a good (organic) extra virgin olive oil to the bowl followed by 2 tablespoons of orange juice which you will squeeze from the orange you just zested. Add 1 1/2 tablespoons of lemon juice, a little salt and pepper and then stir. 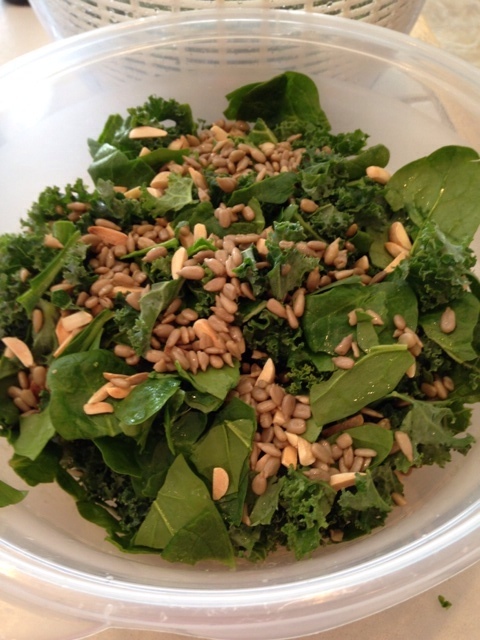 Add 1/2 cup of cran-raisins and the toasted almonds to the kale/spinach mixture and top with the dressing that you've made. Toss to coat thoroughly and let stand at least one hour. Just for fun, I also added some roasted sunflower seeds and raw hemp hearts. 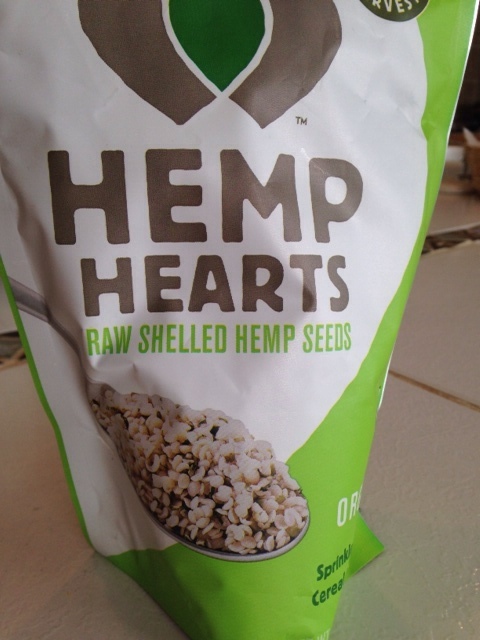 The hemp hearts have a nutty taste and add some all important Omega 3s to the dish! Peel the rind from the remaining orange and chop fruit into small sections. The dressing gives the salad a light, fruity flavor. Packed with goodness – hope you enjoy it as much as I do!